We’re happy to share with you that “The Golden Age of Violin Making in Spain” is the 2015 Winner of the “Third Prize” in the Art Books section of the Best Edited Book Awards organised by the Spanish Ministry of Culture. 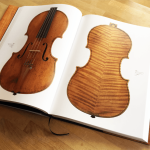 We are pleased to inform you that the panel of judges of the 2015 Awards for the Best Edited Books in 2014, in session on the 10 June, decided to award the third prize in the “Art Books” section to the work The Golden Age of Violin Making in Spain by Jorge Pozas, published by Tritó Edicions. The prize is awarded by the Directorate General for Cultural Policies and Industries and the Book, which depends on the Ministry of Culture of Spain. This entry was posted in Uncategorized on June 17, 2015 by marcel. 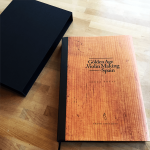 We’re glad to announce that “The Golden Age of Violing Making in Spain” is already available. It’s been a long and hard journey but the effort has paid off. Thank you very much to all of you who were involved in the process. You can read some of our customers’ reviews here. If you haven’t bought your copy you can order yours here. This entry was posted in Uncategorized on March 18, 2015 by marcel. 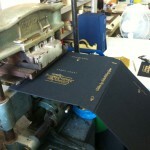 The stamping and gilding of the book cover is such a beautiful and manual process that we wanted to share these pictures with you. This entry was posted in Uncategorized on January 9, 2015 by marcel. The release date of “The Golden Age of Violin Making in Spain” is just three weeks away and our team of editors is working hard to make sure every detail is perfect. 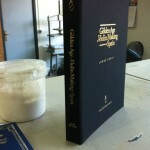 We are so excited about this that we couldn’t wait to give you a glimpse of the final product. So here’s a short clip to show you what’s going on right now on the backstage. Enjoy. PS. 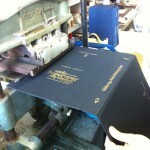 If you want to receive real-time updates on the progress of the book simply Like our Facebook page. This entry was posted in Uncategorized on November 14, 2014 by marcel.